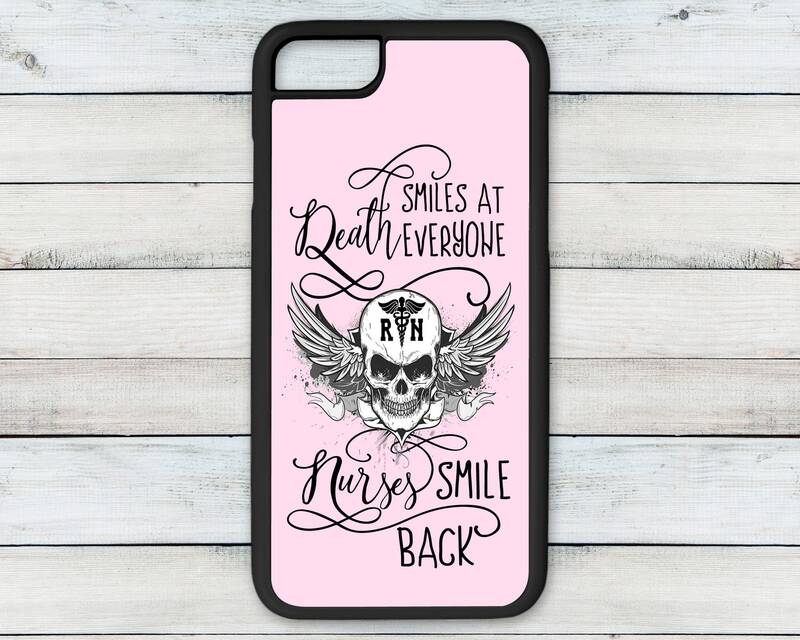 DESIGN: Death Smiles at Everyone, Nurses Smile Back with a skull with wings and RN medical symbol over a pink background ~ Need it to say something other than RN? (i.e. LPN) Just contact us for more information.